18 Happy Years - a Memory of Avon Dassett. We moved into Avon Carrow in November 1991, just after the M40 motorway had been extended to Warwick, and started the most rewarding living experience of our mature lives. The Carrow has an interesting history for such a relatively short life - it was built, as a hunting lodge, in 1896 by Cecil Boyle, a territorial Capain of the Queen's Own Oxfordshire Hussars who was killed in the Boer War at Boshof on 5th April 1900 aged 42. His widow liked the rather stark hunting lodge so much that she stayed on and adapted it to be her main residence. Since then the house has passed through several hands including that of The 4th Baron Profumo whose son John came to grief at the hands of Christine Keeler when serving as Minister of War in MacMillian's government. In those days Avon Carrow estate included, in addition to the house and 8 acres of grounds, Hillside Farm, Yew Tree Farm, which lies to the right of the road from the village down to the B4100 (formally A41) and all the property on the east side of the village from Hillside Farm southwards but excluding the Catholic Church, the two cottages on either side of it, the site of the new Rectory and the house next door, opposite the Avon Pub, named St Joseph's Cottage. The Baron paid £19,000 for the whole property - but then that was real money. There are commemorative plaques erected to Cecil Boyle and to Baron Profumo and his wife in the redundant church of St. John the Baptist further up the hill in Avon Dassett. In 1983 after several changes of ownership Avon Carrow was sold into the hands of a developer and converted into flats, but the venture proved a failure. It was then redeveloped into the individual dwellings that exist today and we bought The Tower - the central of the three major houses; the remaining 13 dwellings surrounding the courtyard being smaller and of mews type. The Avon Carrow Management Company was formed from the outset and run by a small committee of Secretary, Treasurer and Works committee with a Chairman rotating throgh the residents to take charge of 3 monthly meetings to oversee the management of the common parts and to discuss any issues that arose. It has proved an ideal arrangement. The community currently exists of 23 adult residents and a growing number of children. I assumed the role of Secretary and Treasurer for 14 years until 2007 when the job was divided into its separate parts. By this time age was begining to tell and the task of managing 4 floors was becoming a burden. Up until this time we had lived a very full life, both being members of the Royal Leamington Spa Bach Choir, the local Gardening Club, my Chairmanship of the Warwickshire branch of the ART Fund, and with frequent trips to London to attend my wife's women's organisations which took us abroad most years. Unfortunately I developed kidney failure and after several weeks of preparation I went into dialysis which cramped my style to a degree. It was shortly after this that we decided that we could no longer cope in the Carrow and we looked around for somewhere else close by. We were extemely lucky to find a very nice house in Banbury (with only one flight of stairs) and even luckier to sell The Tower within one week of putting it on the market. Several people in the Carrow were most helpful with our move and we gave a Thank You lunch for them after settling into our new house. We have not severed our connections with Avon Dassett and will still attend the Gardening Club meetings and continue to attend church on Sundays. 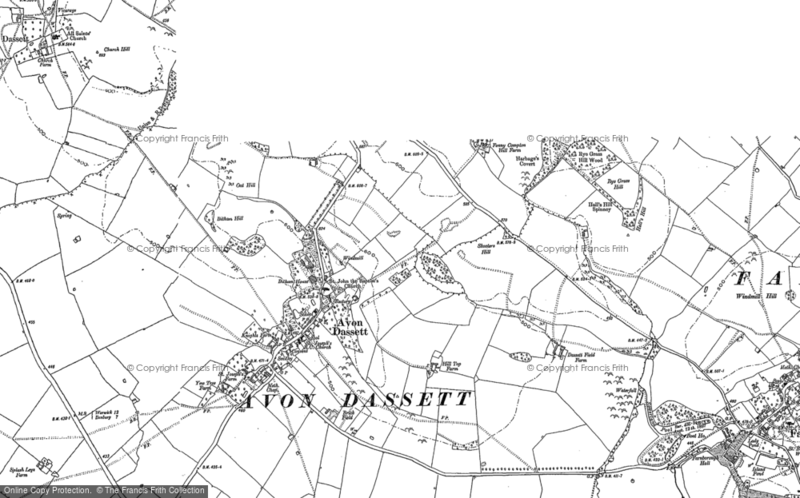 With encouragement from my wife I have decided to publish a booklet commemorating our time in Avon Dassett. It will consist of captioned photographs of all the places of interest with a forward of a potted history of the village. A memory shared by Ian Hiley on Jan 14th, 2010. Send Ian Hiley a message. Add a memory of Avon Dassett.